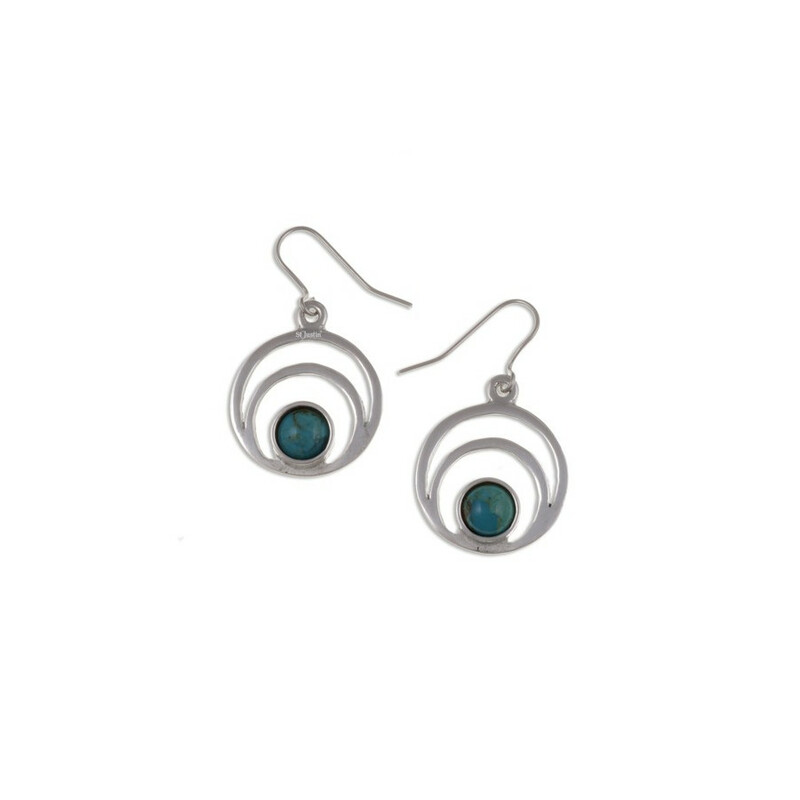 This delicates round earrings are made of tin and reveal an half-moon and a turquoise stone. Hooks made of surgical steel. 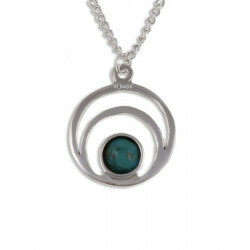 Decorated with a delicate turquoise stone, this pendant reveal an overturned half-moon.